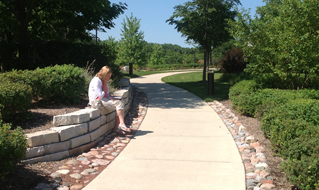 Jacobs/Ryan Associates combines knowledge, conceptual thinking and attention to detail to produce enduring landscapes. The firm believes three fundamentals are important to the success of all landscape projects: design, technology and management. Each plays a critical part in making the finished landscape meet the client's expectations. While we are known for our designs and aim for beauty in every finished product, we also believe form should follow function. We take advantage of technological advances that will improve both the process and outcome of a project, whether the concern is aesthetic, functional, ecological or economic. We rely on time-tested approaches to many landscape solutions because what has worked well may not need changing. We manage every project closely, giving it our focused, personal attention. Every project is assigned a partner who plays an active role in the day-to-day events of the project.